GARFIELD, N.J. -- Garfield police on Wednesday released images of a man who they said swiped cash from a gas station before ducking into the new Burlington store, where swapped his clothing for new duds and vanished. The store was briefly evacuated last Saturday morning while police searched for the bandit who grabbed the money from the register at Valero on Passaic Street and then outran employees to the nearby shopping center, Capt. Raymond Kovach told Daily Voice. Police established a perimeter and called in a K9 unit, with negative results, Kovach said. Eventually, the operation was broken down and the off-price store -- which had its grand opening on Friday -- returned to normal business, he said. "Officers recovered evidence in the store believed to belong to the [thief]," the captain said. 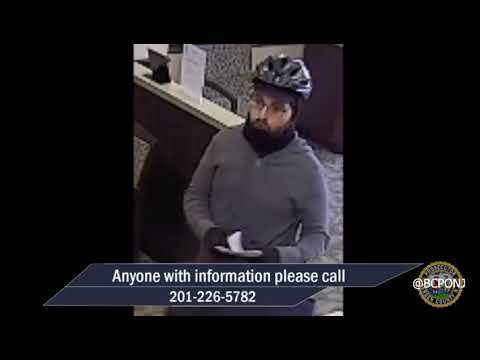 Anyone who knows the man in the photo, sees him or has information that can help the investigation is asked to call Garfield police: (973) 478-8500 .